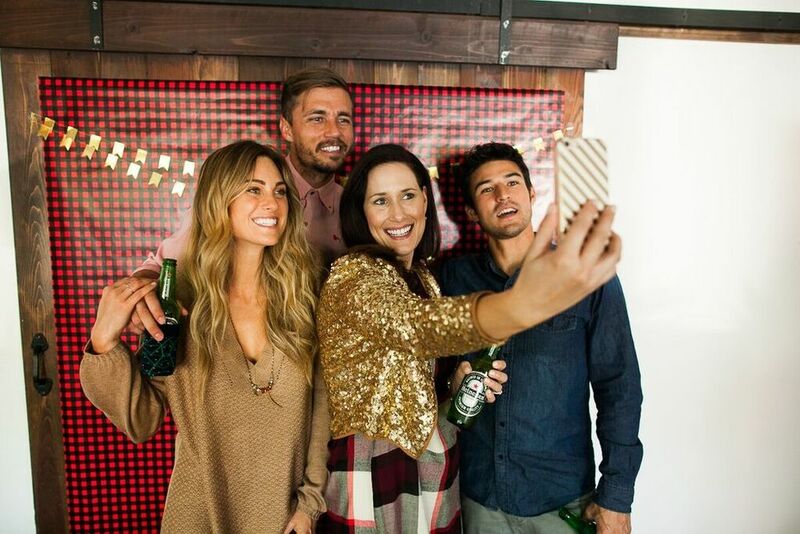 Now that thanksgiving has passed we're in full swing for Holiday Parties! All those parties can be a little overwhelming, and stressful on your wallet. 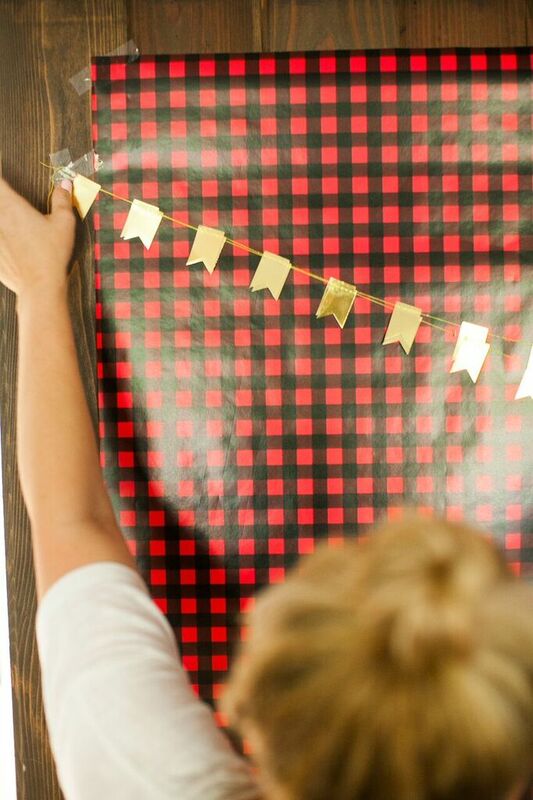 We've got a simple backdrop DIY for your party at home or the office, and it will cost you less then 20 bucks! 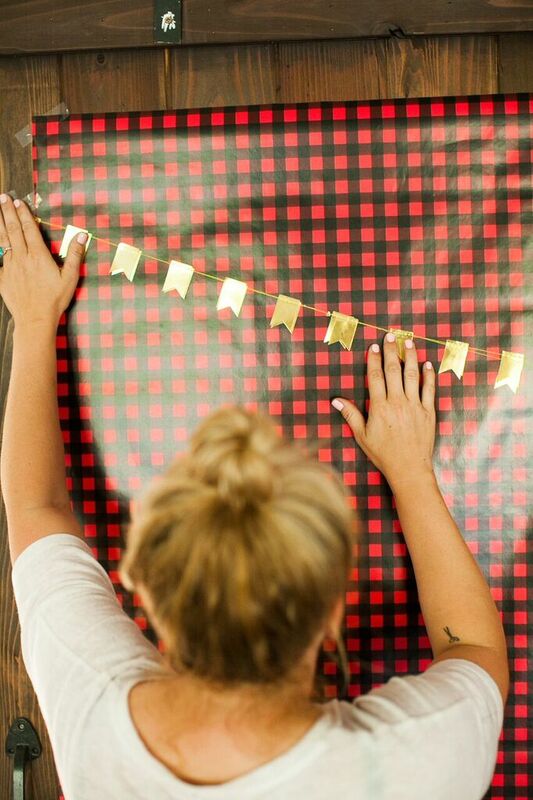 Once you've chosen your favorite wrapping paper(that will be the most difficult part of this project!) you will simply cut two long pieces of paper, approximately 6 ft in length depending on your wall space. 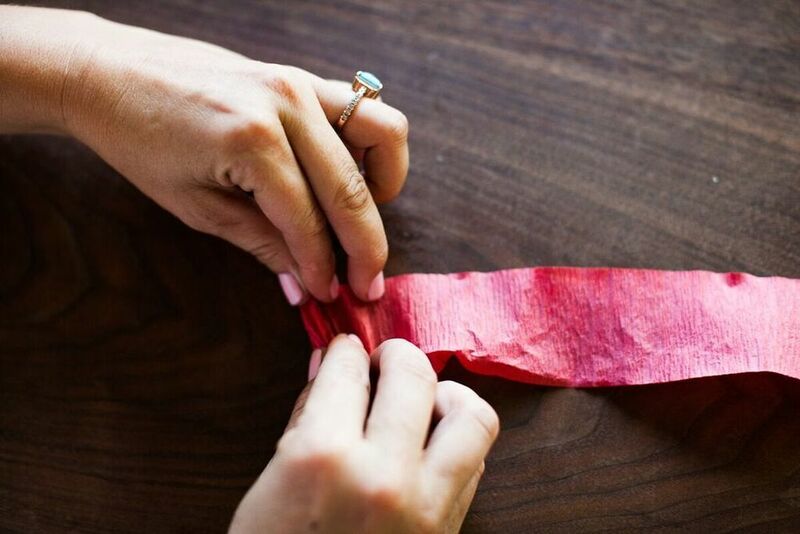 We recommend lining the pieces up on the ground and taping the backs together so you get the straightest line. Then adhere to the wall with tape. Now comes the fun part! 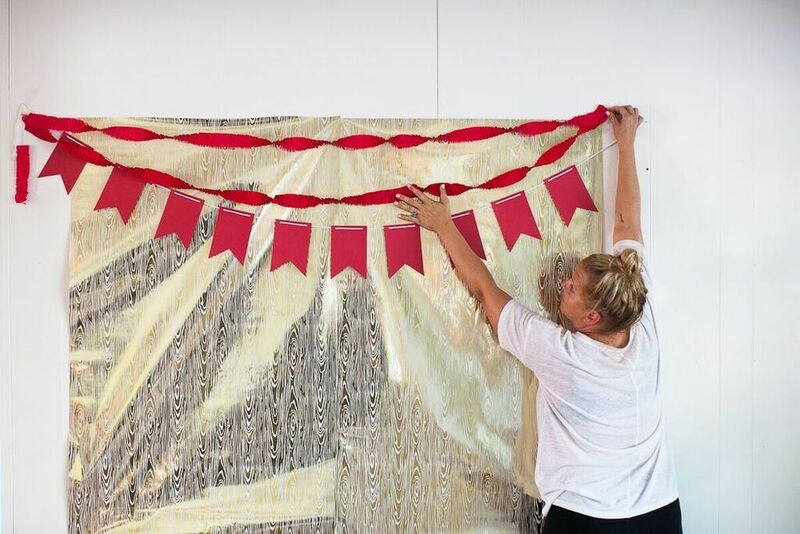 Adding banners and crepe paper adds depth and makes your wall visually interesting. 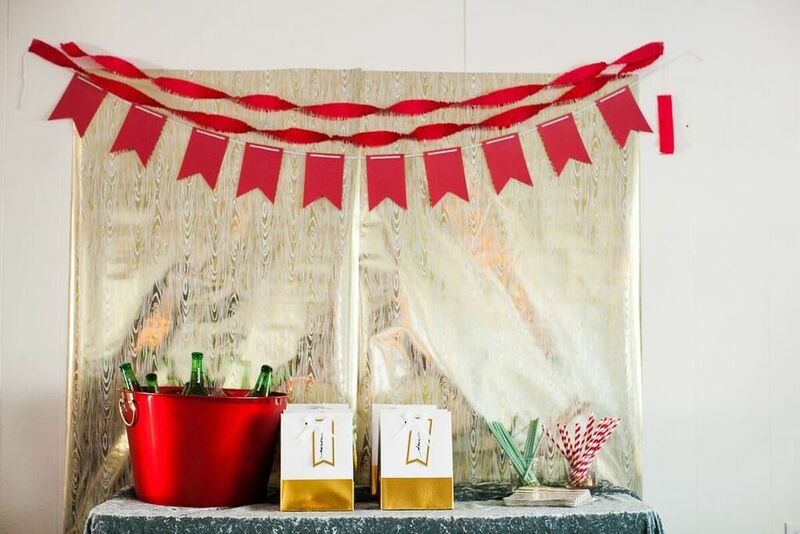 You can add as many banners as you like in whatever colors accent your wrapping paper selection. 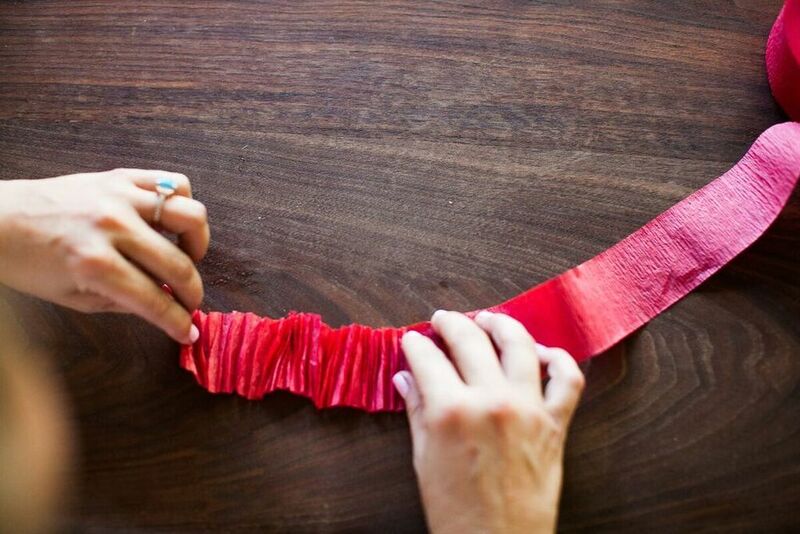 We accordion folded our crepe paper to add more texture before we twisted and draped strands of it over our wall. 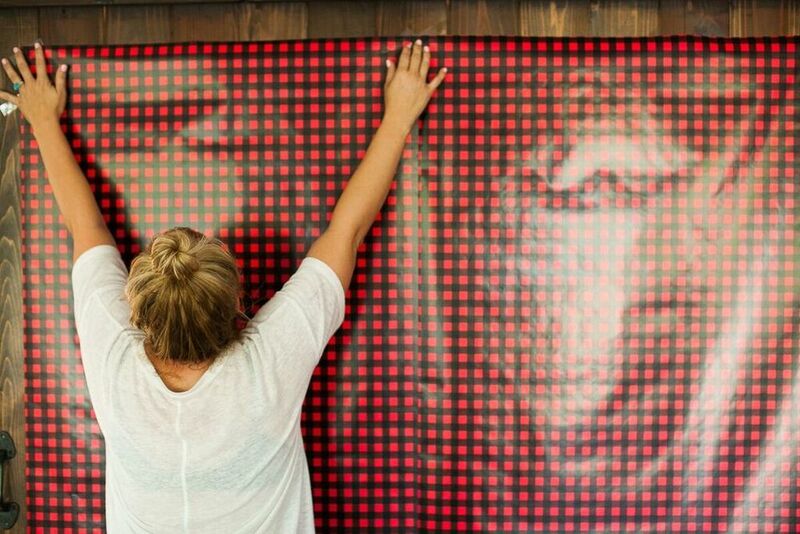 Whatever you choose to add simply secure to your wall with scotch tape. And now you have a backdrop! 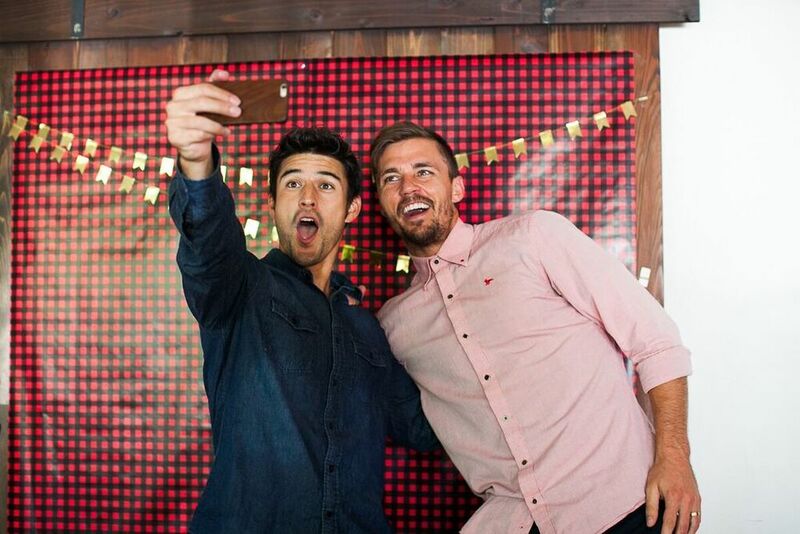 Set it up as a selfie wall, a buffet backdrop, or just a cute and fun focal point of your party!